~Every child is entitled to love and full membership in her family. ~Every child is entitled to have his culture embraced and valued. ~Every child is entitled to parents who know that this is a race conscious society. ~Every child is entitled to parents who know that she will experience life differently than they do. ~Every child is entitled to parents who are not looking to “save” him or to improve the world. ~Every child is entitled to parents who know that transracial adoption changes the family forever. ~Every child is entitled to be accepted by extended family members. ~Every child is entitled to parents who know that, if they are white, they benefit from racism. ~Every child is entitled to parents who know that they can’t transmit the child’s birth culture if it is not their own. ~Every child is entitled to have items at home that are made for and by people of his race. ~Every child is entitled to opportunities to make friends with people of her race or ethnicity. ~Every child is entitled to daily opportunities of positive experiences with his birth culture. ~Every child is entitled to build racial pride within her own home, school, and neighborhood. ~Every child is entitled to have many opportunities to connect with adults of the child’s race. ~Every child is entitled to parents who accept, understand and empathize with her culture. ~Every child is entitled to learn survival, problem-solving, and coping skills in a context of racial pride. ~Every child is entitled to take pride in the development of a dual identity and a multicultural/multiracial perspective on life. Adapted by Liza Steinberg Triggs from “A Bill of Rights for Mixed Folks,” by Marilyn Drame (which in-turn was adapted from Dr. Maria P. P. Roots, “A Bill of Rights for People of Mixed Heritage). I ran across this artist and thought the presentation was really creative. She has a youtube channel: artsizzle. Look her up for similar creations. She did another one of President Obama called “Inauguration” that I really liked too! 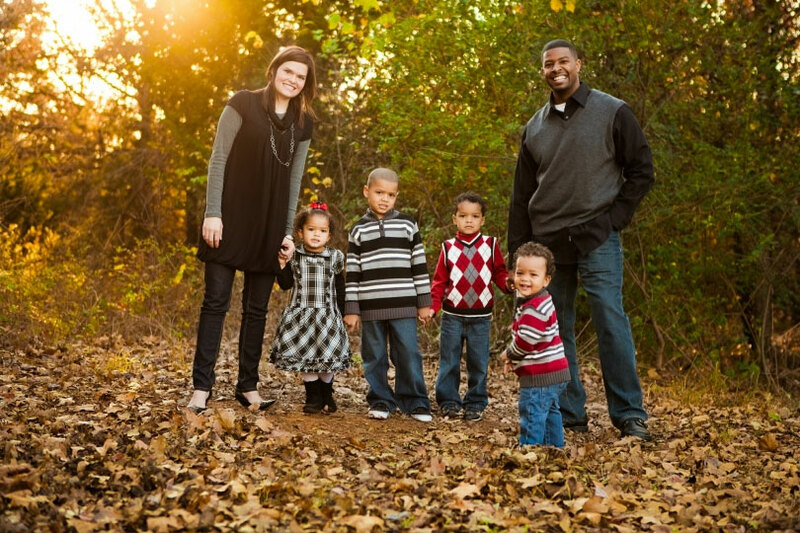 How important is it to you that your church family is racially diverse? When I began looking for a church I was very specific with God about what “I” was wanting in a church: (1) diversity, (2) close to home, and (3) an 11:00 service. Really, those were my specific requests. I have to laugh as I look back now and see where I was at that time in my life (over 10 years ago). Thankfully, God gave me the desires of my heart and then some! I have visited many churches in my [rather] short history and being in a multiracial family, I have felt many things other than the love of God in the majority of them. When I found my church home, I truly felt HOME. There was a peace about being in a place that I felt truly accepted. I recently asked a new [white] woman attending our bible study what drew her to our church. She gave me a long spiritual answer but the portion that resinated the most with me was, “Well, I thought anyone attending here couldn’t have major issues with race”. I love SO many things about our church, the people, the passion, the work…but I have to admit, I LOVE that it is the one place that I can truly be accepted just as I am. Thank you, God for blessing me with such a wonderful church family!